A couple in Huntington, Long Island, is taking holiday decorating to the next level with this amazing light display, now open to the public. The bar for holiday decorations has been set on Long Island. 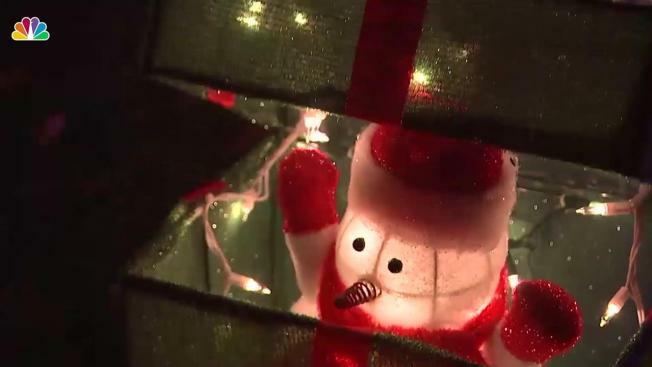 Bob and Patty Kielawa of South Huntington have placed over 30,000 lights and 300 figures on their front lawn to create the ultimate holiday light display. The couple was inspired by the movie ‘Christmas Vacation’, where the main character puts up extravagant decorations to get his family in the holiday spirit. They thought it would be fun to try to recreate a similar light display on their own home. They start hanging lights in September, beginning by lining the roof and working every weekend until the holiday season. Their favorite part of putting up so many decorations is the reaction people have when they see it, they said. Kids have come by their house to thank them for the decorations, saying they believe the house guides Santa to the neighborhood. The Kielawa’s holiday light display can be found on 13 Weston St. in South Huntington. They encourage people to stop by to see the lights.